A data center is a network facility used to house many computer systems and associated components, such as telecommunications and storage systems. 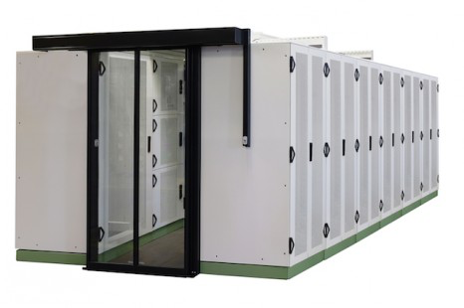 It includes redundant or backup power supplies, redundant data communications connections, environmental controls (e.g., air conditioning, fire suppression) and various security devices. Large data centers may use as much electricity as a small town.